Runners have a special relationship with their shoes. Running shoes carry runners through many miles of training and races; they are the 1 piece of gear that all most* runners cannot do without. When a runner finds the perfect pair of shoes its a beautiful thing, likewise the wrong pair of shoes can be disastrous! For the past couple of years I have run in Saucony Kinvaras (2’s and 3’s) as my primary shoe. I tried to add the Saucony Fastwitch 5 into my rotation but despite some positives, it didn’t stick. 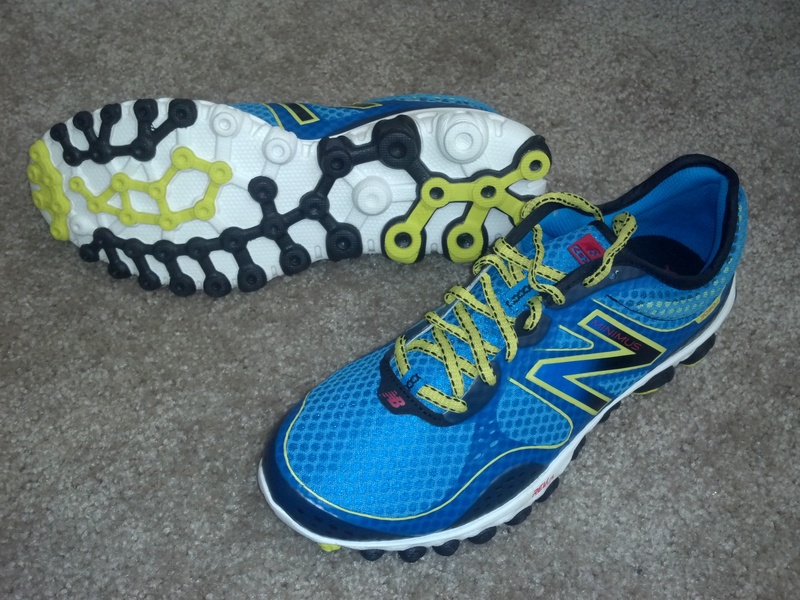 For a while, I’ve wanted to try a pair of New Balance Minimus shoes, though I never pulled the trigger. 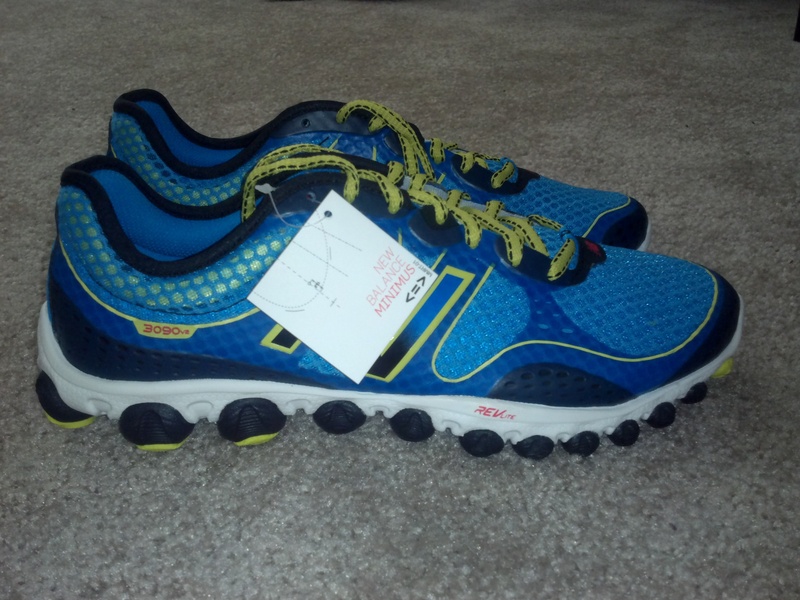 This year for Christmas my parents got me a pair of running shoes (a surprisingly excellent choice of shoe considering they are not runners) They managed to pick the same shoes I had been considering buying on my own, the New Balance Minimus “Ionix” 3090v2. More first impressions, The shoes were very comfortable almost felt like putting on a comfortable pair of slippers, especially given that the forefoot is seamless. The My feet felt snug and comfortable in the shoe, yet the forefoot was a bit wide to allow for toe splay. My feet also felt very secure in the shoe with the shape of the heel cup really locking my foot in place. Another unique part of this shoe was the structure of the sole. New Balance used a unique pattern for the soles which resembles the structure of a molecule. This pattern allows for rubber on the critical parts of the sole without the extra weight. On the negative side I could see this becoming an issue with rocks and pebbles and other debris getting stuck in the sole. I took the m3090v2’s on a 7 mile run along the local bike path. Walking around in the shoes before the run gave me a better impression about just how light and comfortable these shoes are. During my first mile I noticed a few more things. 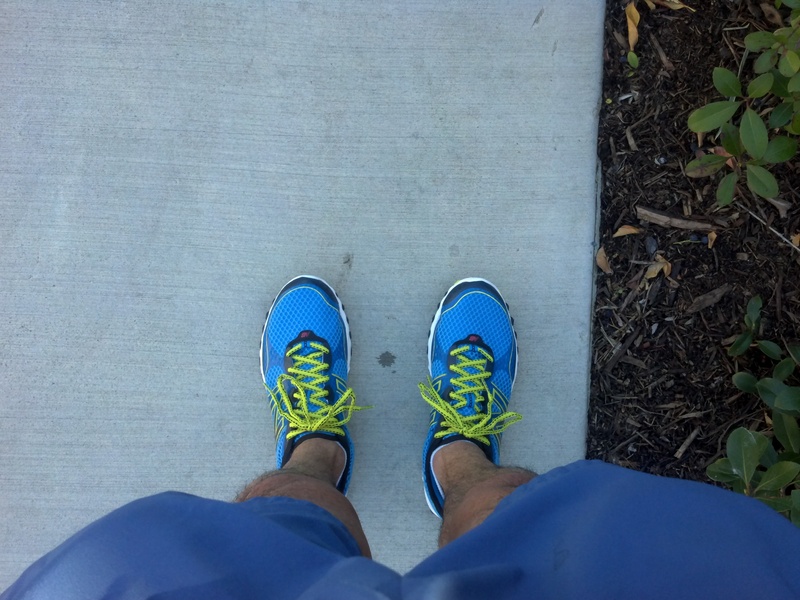 First, these shoes were absolutely effortless to run in. Although New Balance recommends a slow transition into these shoes, it was a natural next step from the Saucony Kinvara’s (both 4mm drop shoes). These are one of the few new pairs of shoes I’ve run in that didn’t require a break in, and I ran a fast (6:30) first mile without really trying. 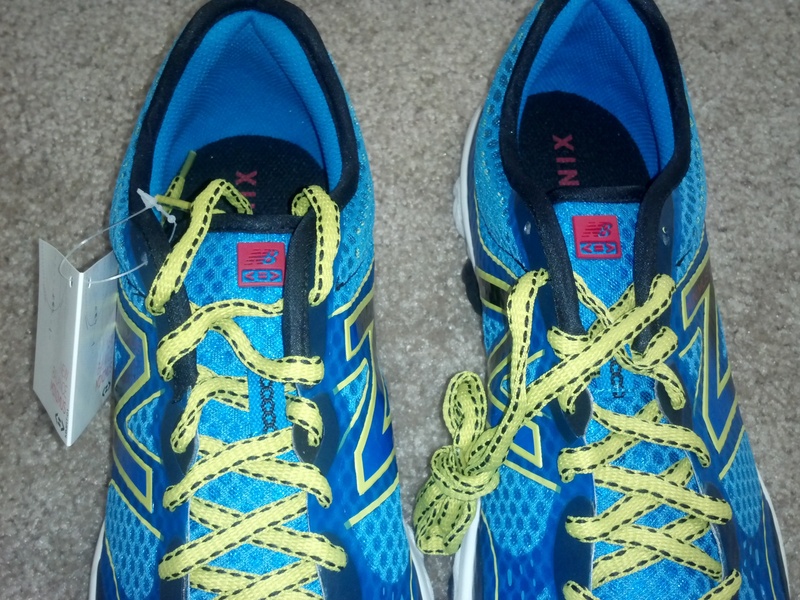 The second observation I made while running in the m3090v2’s for the first time was the flexibility on the shoe. This definitely led to a more natural and more responsive running experience. Finally, while the shoe was very light and low to the ground my feet did not take a pounding. My foot felt no fatigue during or after the run. It was very easy to run fast in these shoes, but more importantly it was easy to run efficiently as I didn’t have to obsess over my foot landing during the run. Although the New Balance Minimus “Ionix” 3090v2’s have all of the ingredients to be a great addition to my running shoe rotation, 1 run is not enough to get a final impression on a running shoe. At the very least, I know these shoes can hold up well on a Tempo Run! Tomorrow I will wear these shoes on my group run to see how they feel at a slower more casual pace; I will be back with more impressions and I will continue to update as I increase my mileage on these shoes to see how they hold up! Happy Holidays and Happy Running! These shoes seem to adapt well to different conditions. Today I ran uphill, downhill, roads, trails, rocks, etc. and had no problems! Even running at a slower pace on semi tired legs I had no problems. 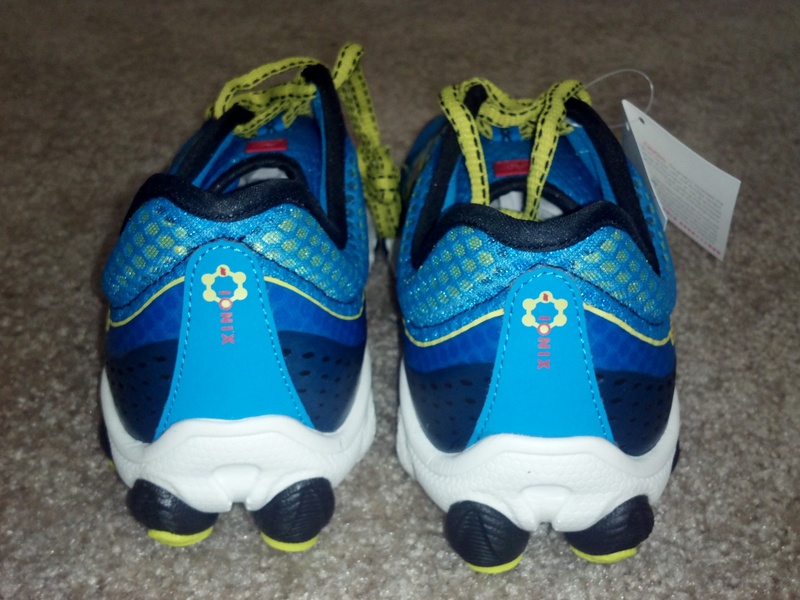 One annoying thing I noticed while running in the m3090v2’s was in relation to the tongue of the shoe. Maybe it was the socks I was wearing, but the tongue did not stay in place very well during my run today, it slid down a bit on one foot, and bunched up a bit on the other foot, adding the slightest bit of discomfort to an otherwise very comfortable shoe. Second, as I thought the Ionix soles caught some small rocks on the trail and I had to kick them loose, not such a big deal to me though. I’ll probably use these more as a road shoe anyway, but just thought I’d let you guys know the deal! 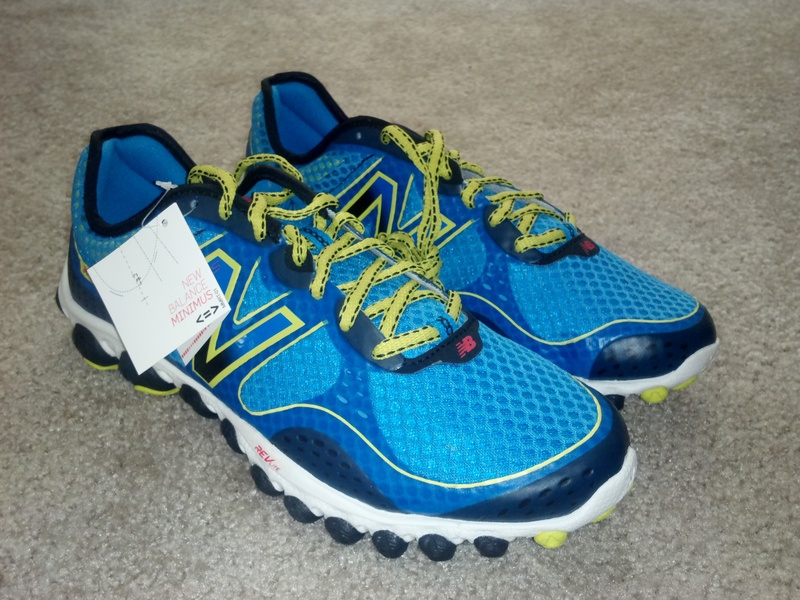 This entry was posted in Reviews, Shoes and tagged Athletic shoe, Christmas, Footwear, New Balance, New Balance Minimus, running, Shoe. Bookmark the permalink. One thing that I notice about wearing minimalist shoes, is that you automatically learn how to land a lighter and properly. your body automatically know that landing hardbis not good, so after a very few steps you already start to land a lighter. that’s one of the reasons why I’m transitioning to barefoot running. the first time I ever ran barefoot was out of.necessity… And without thought my body assumed the proper form of bare and minimal running: more bent knees, faster cadence, land ln ball, land heel, lift foot, and curling toes. I love minimal shoes, but beware… I have done 10 mile runs in them, and then id do a 6 and have calf and feet pains. Jack, thanks for the great feedback! I didn’t always follow the principals of proper running form, so while I’ve always been intrigued by the New Balance Minimus line of shoes I’ve always been somewhat nervous about trying them. I agree that these type of shoes promote better / more efficient running form. I can also testify to experiencing the calf pain issue! (though not in THESE shoes) The first time I went on a Newtons test run my calves were sore for about a week!! I also experienced the same when I started running in Kinvaras. I had to consciously change my running to avoid paying for bad form later. These NB Minimus shoes definitely make it easy to run with efficient form, yet I wouldn’t have been ready to run in them had I not first run in the Saucony Kinvaras. 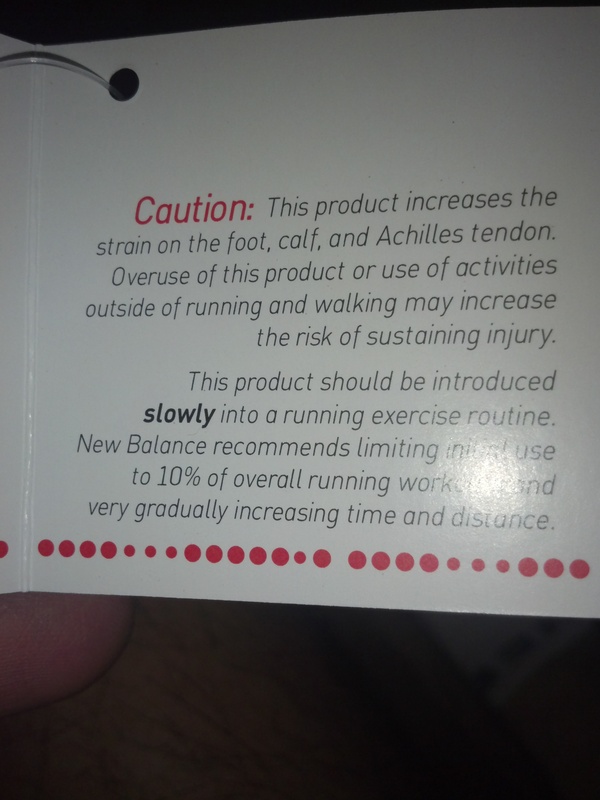 I had the same experience transitioning to a Kinvara with the calf pain…I think it’s great NB included that little “warning” label. Too many folks think simply jumping into the more minimalist shoe is their panacea for all aches and pains, but it should be done gradually! I’m a Saucony (primarily Kinvara, but also Cortana and now the A5) girl through and through right now, but will keep this shoe in mind should I want a change! PS…cool that you are on the west coast. Met quite a few runners from LA when my husband and I ran the Lake Tahoe marathon back in September! Thanks for your comment! I agree with your assessment of transitioning to reduced and minimal shoes. I am still in love with the Saucony Kinvara and will keep them in my rotation for a while! In my case the Kinvaras did a great job preparing me for running in the M3090v2, however I don’t take that type of transition lightly, and I encourage anyone looking to jump into a reduced or minimal shoe to do so gradually and rotate with another shoe.